The Pinner is essentially a two in one board. 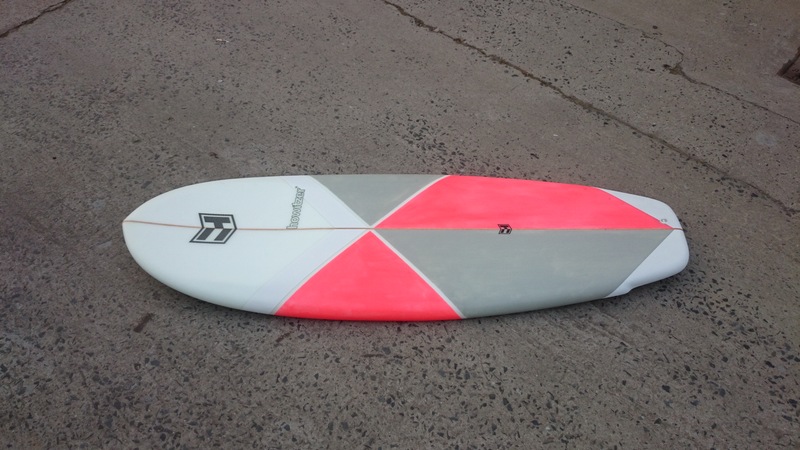 Under 6’0 and it’s a mini simmons, fast and agile, easy paddling and chunky. 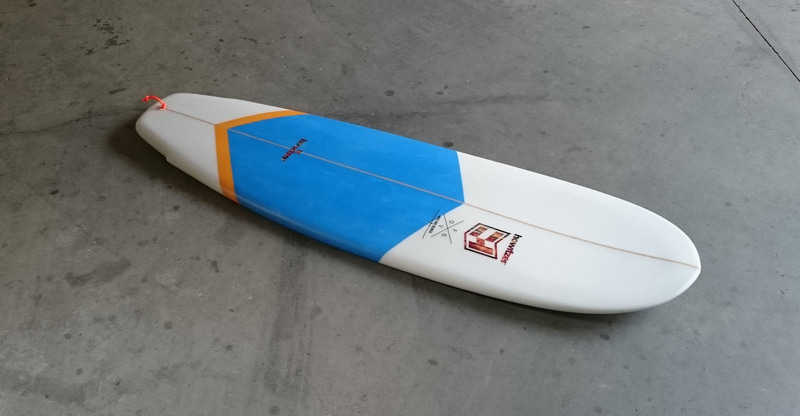 From 6’0 and up, the Pinner is an extremely versatile board, working in a diverse range of conditions. 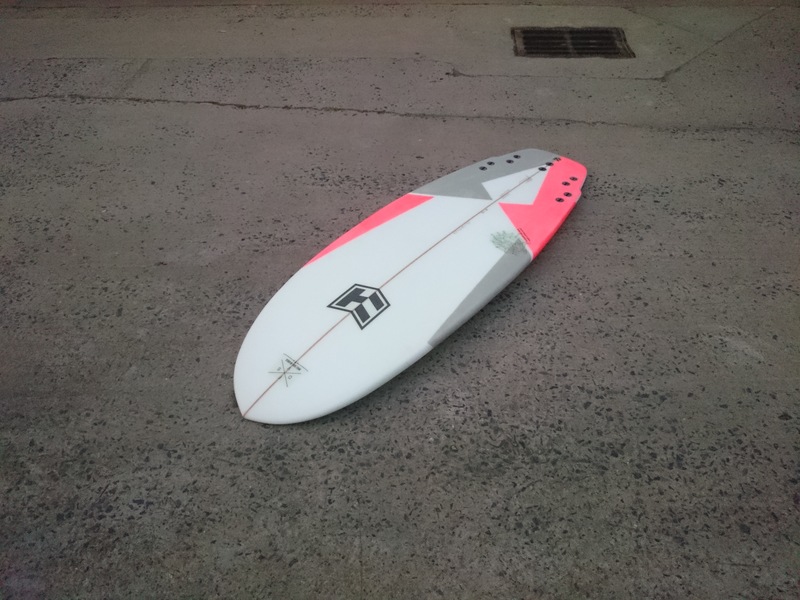 It’s a great board for sneaking hang-5’s and surfing as a single, and also very nimble as a thruster. The tucked squash tail enables the board to really come alive – bringing the tail in earlier, creating two points that will help water break loose and make the board turn like a smaller board when you dig the rail, without hindering stability and drive. 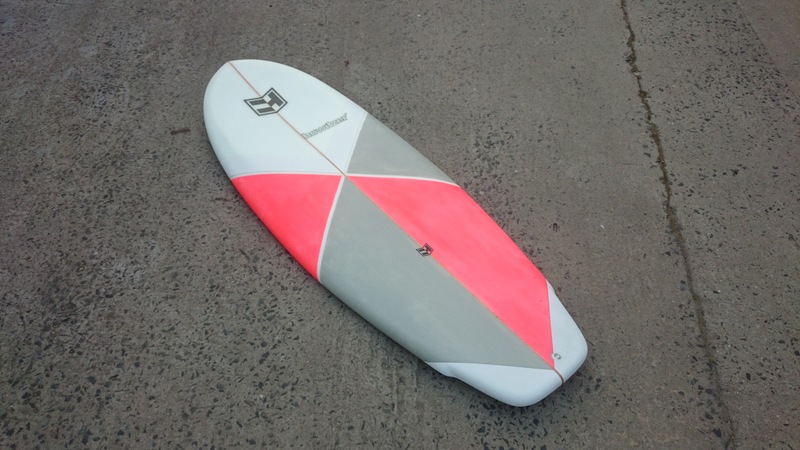 I’m a big fan of well laid out fiver setups – you can surf the board as Twin, twin with trailer, thruster, quad or even single with our without sidebites (with the cunning use of an extra C plug). On the Pinner I recommend going wide – this creates a bigger planing surface – so that the board acts more like a longboard; so that you can sneak in quick hang fives and run around the deck a little bit. This also translates to quicker planing, so you can take off a bit earlier than on something more narrow, essentially meaning longer rides and higher wave count sessions. 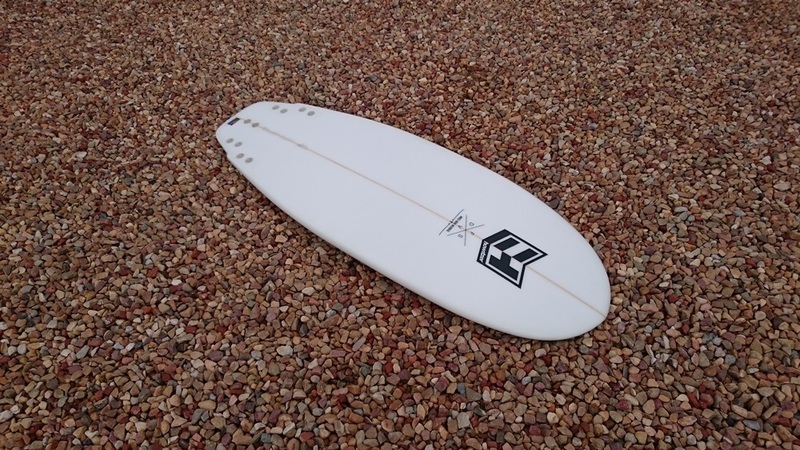 The Pinner is what you would get if you crossed a mini-simmons with a Swiss army knife, short and stubby with a 5-er fin setup for super versatility, and a tucked squash tail with wings, means that this board turns on a dime and gives controlled release when you ride it hard. 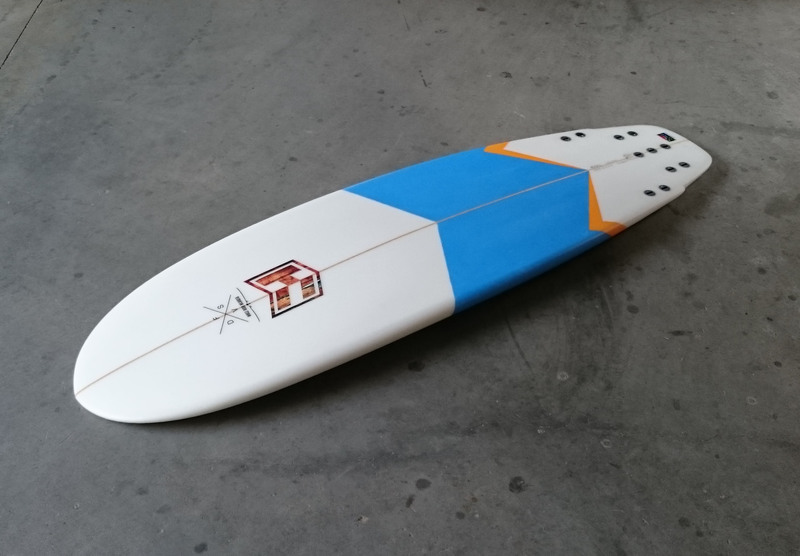 Loads of volume translates to easy paddling and early pop-ups, and the extra width helps the board to plane really quickly. 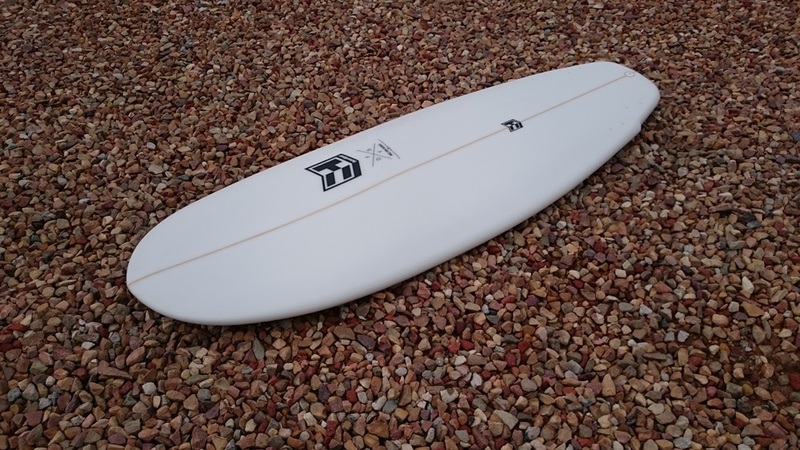 At the large side of sizing, the Pinner is a good intermediate board, and at the smaller end, advanced surfers will enjoy this bar of soap and the break away from convention. 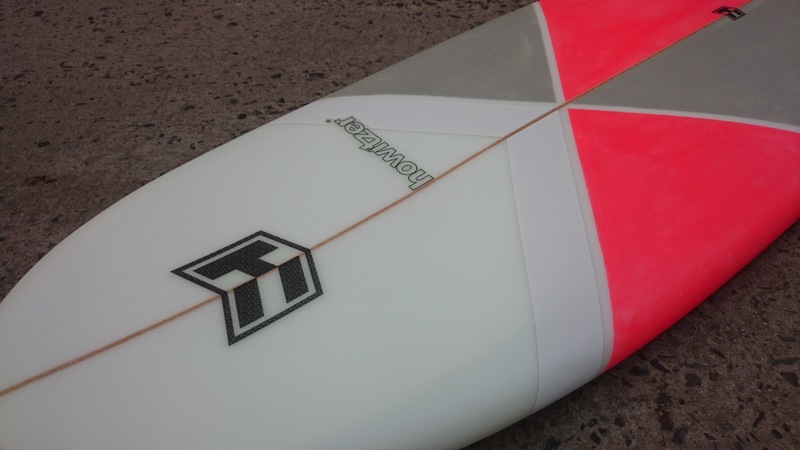 The Pinner is ideally ridden in waves from 2.5 foot to where your guts and or skill run out.